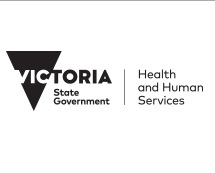 The Department of Health and Human Services Victoria encourages all Victorian sport and recreation clubs to access online training courses on allergies and anaphylaxis. Clubs should also be familiar with food safety requirements, particularly clubs involving children with identified allergies. The Australasian Society of Clinical Immunology and Allergy (ASCIA) provides an anaphylaxis e-training course, which has been developed to provide access to reliable anaphylaxis education to the community at no charge.